A mortgage calculator is the first resource many home buyers use, even before they search for a home. This is a wise move. A good calculator can estimate the home price you can afford. You don’t want to look at homes that are too pricey. Just as important, you shouldn’t assume you can only afford a small house. It’s expensive to under-buy; you will need to sell and buy again in just a few years. 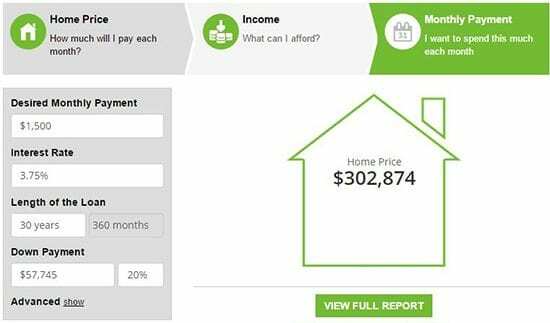 A good mortgage calculator can help you determine your optimum price. 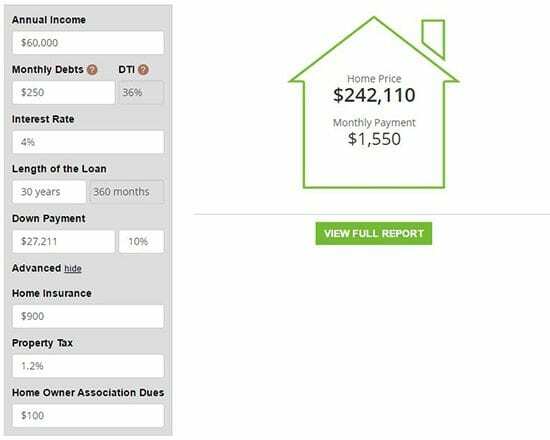 But there is more to a mortgage calculator than seeing your best monthly payment. Not many people consider these five features of mortgage calculators that can give you greater insight into home affordability, and even help you afford more. Mortgage calculators should be able to handle more than the obvious house price, interest rate, length of loan, and downpayment. Be sure you can include your home insurance payment, property tax rate, and, if applicable, home owner association dues. The numbers may seem small in comparison to the full price of a house. But they can be important when determining the home you can afford. But this price assumes fairly affordable homeowners’ insurance and taxes, and no homeowner’s association (HOA) dues. If these “extra” costs of homeownership rise, affordability falls. Lenders consider your entire payment when they qualify you for a house. They look at loan principal and interest, plus homeowner’s insurance, property taxes, and HOA dues. 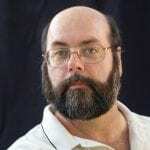 Let’s go back to the above example of the buyer who makes $60,000 per year. This time, we will increase the extra costs as follows. Affordability drops by about $30,000 in home price. As a home buyer, don’t assume all properties come with the same costs. Look at the real estate listing. It will detail annual taxes and HOA dues, if any. Your insurance agent may be able to give you a rough estimate of homeowner’s insurance cost, based on desired home price. Insight into the often-forgotten costs of homeownership will help you better determine what you can afford. You want to know where your money is going each month. As a homeowner, you will pay off some principal with each payment. Eventually, you will pay it down to zero if you keep the home long enough. The rest of your payment is mortgage interest, plus things like homeowner’s insurance that is typically collected with the payment. The mortgage calculator breaks out each item’s cost. You include the appropriate information — price of the house, the interest rate, length of the loan, and downpayment — and you see the breakout of the monthly payment. You can also add property tax, insurance, and HOA dues to see the impact they have on the monthly payment. In this example, the insurance is $900, property tax rate is 1.2%, and HOA dues are $100 per month. Those additions push the monthly payment up by $425. You need all the details to know what you will owe and whether a given mix of house and loan rate is affordable. 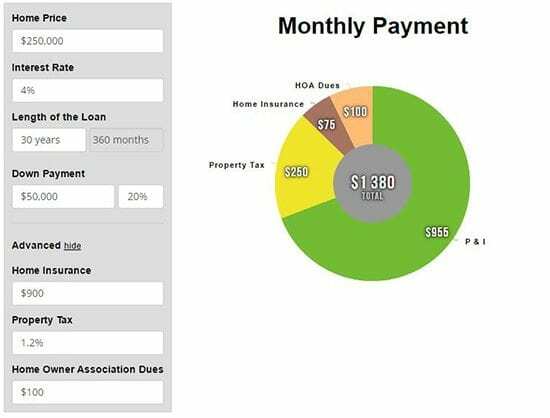 Many people use a mortgage calculator in only one way: determining monthly payment. 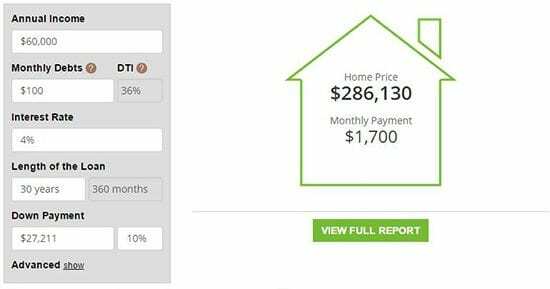 But an advanced mortgage calculator will let you find how much house you can afford based on your annual income. Rather than juggling home prices, downpayments, and interest rates, you provide your annual income, regular monthly debts, and then the interest rate, loan length, and downpayment. 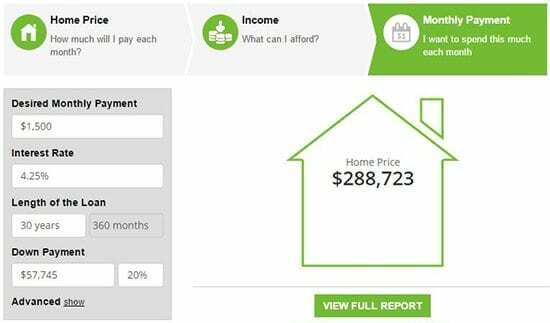 The calculator tells you how expensive a home you can afford and the monthly payment. The DTI figure is the debt-to-income ratio, which is the percentage of your income that goes to monthly debt. Lenders often look for a ceiling to DTI, like 43%, to know the borrower won’t get in trouble. Many consumers aim for a DTI of 36% to be conservative. Note the dramatic effect on home affordability when monthly debt payments go down. A home buyer who owes $500 per month in student loans, auto loans, and other debts, could afford a home of about $215,000. This assumes an income of sixty thousand dollars annually and ten percent down. The same borrower could afford a home above $285,000, if they had only $100 in monthly debt payments. This is a buying-power increase of seventy thousand dollars with only a $400-per-month reduction in other payments. It could be a good idea to make a plan to eliminate or reduce high monthly payments prior to applying for a home. Instead of beginning with the home price or income, a mortgage calculator should let you specify a monthly payment that fits your budget. Then the calculator works backwards to find the home price and downpayment you’ll need. For instance, if you wanted to pay $1,500 per month, and had 20% down, you could afford a home price near $290,000. You can still make changes to the interest rate, loan length, and downpayment (plus, under the advanced factors, the house insurance, tax rate, or HOA dues). As you do, the home price will change to reflect the new conditions. Note how much of a different your mortgage interest rate makes. In this case, drop the rate by 50 basis points (0.50%) to 3.75%. According to government estimates, this is how much home buyers often save by shopping at least three lenders. Shopping around can increase buying power by about $14,000. The fifth feature is the ability to see the progress over time of paying the mortgage interest and principal. Seeing the initial breakout of monthly payments doesn’t let you see how you’re building equity, which can be important in making decisions about selling, refinancing, or establishing an equity credit line. In addition to the monthly payment breakout, you should also be able to see how the payments shift to include greater amounts of principal over time. 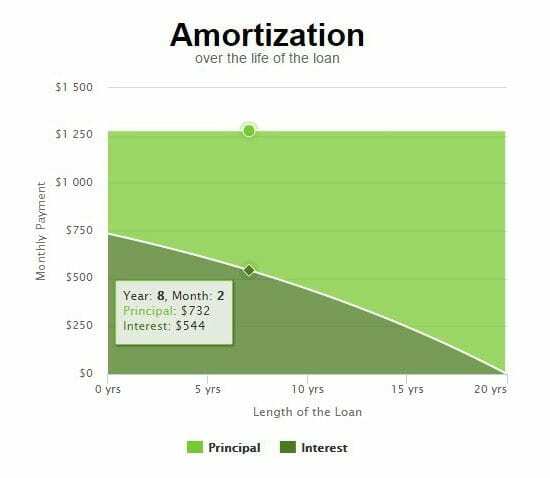 You should be able to see the principal and interest portions of a monthly payment at any given time in the life of the loan. 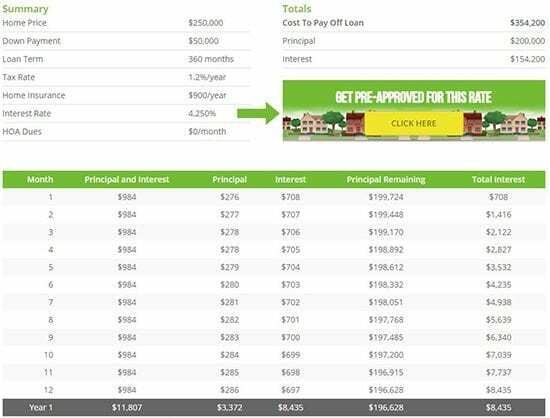 The following is a full report that shows basic information about the loan, the total principal and interest that you will pay over the entire life, and a month-by-month breakout of each payment (with only the first year shown for brevity). 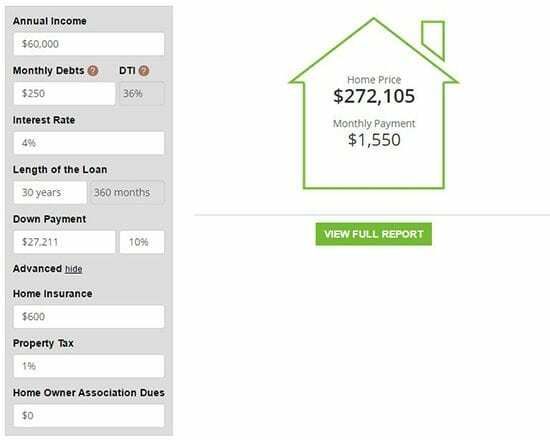 These advanced features of mortgage calculators help you better plan your home purchase and mortgage applications so you know how much payments will run and how much house you can afford. Mortgage rates are low, and that’s increasing affordability for the typical home buyer. As the mortgage calculator shows, home payments change significantly when rates go up. Get a quote for your mortgage, and lock in low payments before rates rise. No social security number is required to start, and all quotes come with live access to your mortgage credit scores.